Helpful tips for when you’re not sure what to write to your Let Them LOL sponsor child! Have questions about your annual Let Them LOL Sponsor Christmas Gift? Learn all about it here! Find out when and how you can reach out to your Let Them LOL Sponsored Child! 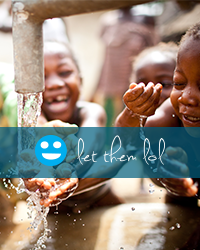 What’s involved in Sponsoring a child with Let Them LOL? Here are all the details in one place!